I’m slowly re-organizing parts of my apartment. There’s a multitude of reasons for this, including time management and appearance. The first spot I thought I’d tackle was the shelf above my washer and dryer in the small laundry room I have. It had become quite a mess since I first moved in. It used to look neat, even with all of the cleaning bottles on it. It’s easy to make it look neat, however, it’s not as easy to keep it neat. I set out for a solution. The solution I came up with cost a grand total of $6 and five minutes of my time. It will save me a lot of time in the future as I can see everything and put everything back in its spot. It took me $6 and five minutes to solve my laundry room organization problems. Each basket is themed, which means I only have to take down one or two baskets when I complete a task. 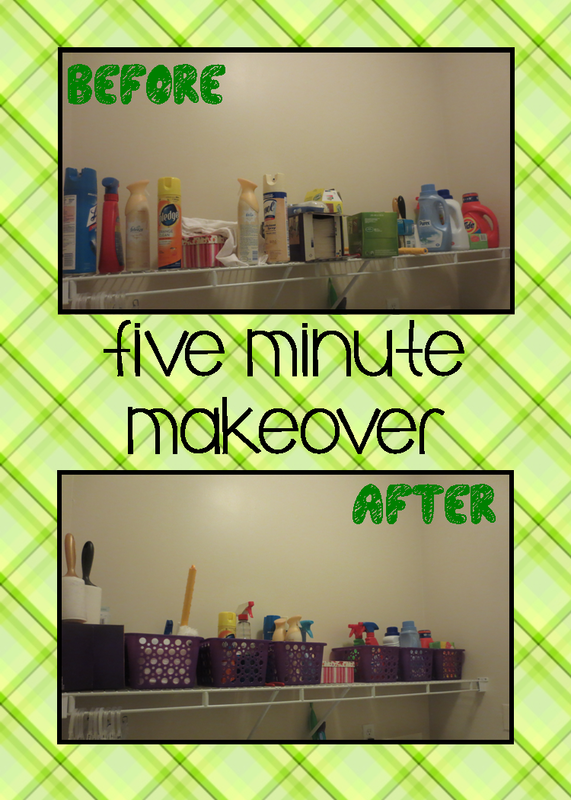 Talk about a time saver when I don’t have to search for my cleaning products!